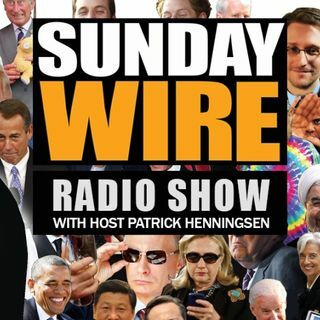 This week's edition of THE SUNDAY WIRE is broadcasting LIVE from Devon in the southwest of England, from the former imperial port and naval powerhouse of Plymouth, England. This week host Patrick Henningsen is joined live in-studio by UK Column editor Mike Robinson to discuss the week's international news, including breaking updates from Bilderberg 2016, Syria and the US. In the first hour, we're joined by special guest, Haitian born journalist, playwright, academic and activist, ... Maggiori informazioni Dady Chery, co-editor of News Junkie Post and author of We Have Dared to Be Free, to discuss the Soros-driven NGO Smart Power Complex and the New Fake Left, problems with the Clinton Foundation in Haiti, as well as her own experience on the ground during the aftermath of the 2010 Haiti Earthquake. In the third and final hour of overdrive we hope to connect with 21WIRE's new roving 'democracy correspondent', Basil Valentine, for an analysis on the BREXIT psy-op, and also the reality of a Trump vs Clinton match-up in the US Presidential elections, and more.